Our quality 360gsm artboard is a great mid-range stock for clients that want that little more in their business card stock. The stock sits between our economy 310gsm and popular premium 420gsm. With a gloss cello one-sided finish, you'll be able to let the front of your design pop with the ability to still write on the back. 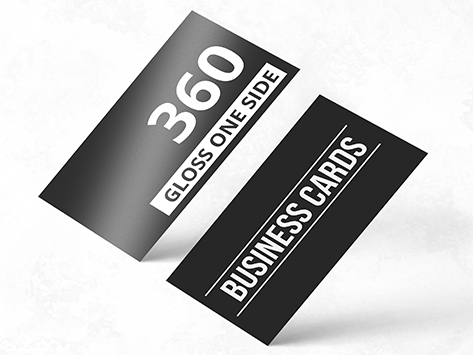 This is our nicest mid-range business card that has a gloss cello front to make your front image or photograph really stand out. It's the Sunshine Coasts best mid-range gloss cello front business card option.